The Ubiquiti POE-24-24W-G adapter is distinguished by its high quality and reliability. POE-24-24W-G's output power is 24 V with input voltage at a level of 1.0 A. 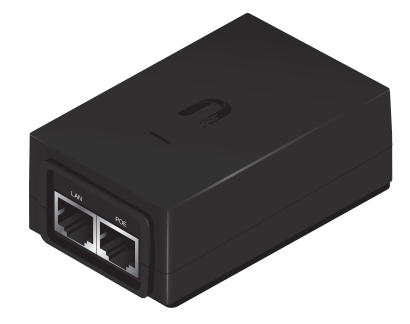 The adapter is equipped with two Ethernet LAN RJ-45 Gigabit ports. This model boasts reliable operation and supports passive PoE. It is compatible with Ubiquiti TOUGHCable grounding systems, which increases its resistance in unfavourable outdoor conditions by protecting it from electrostatic discharges. The device is compliant with industrial standards: IEC 60950-1:2005+A1, UL60950-1, EN55022:2010 and EN55024:2010.